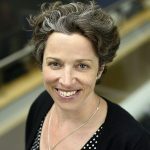 Catherine Goodman is a Professor in health economics and policy at the London School of Hygiene and Tropical Medicine. She has 20 years of experience in applied health systems research in low and middle-income settings. Her work focuses on understanding and improving private sector healthcare provision – understanding the growth of this sector, the incentives private providers face, and consequences for healthcare quality and access, and in evaluating interventions to address this. This has included studying multi-national private sector subsidy programmes for antimalarials, regulation of the retail and health facility sector, and quality improvement programmes for private providers.